AS Roma are ready to let Edin Dzeko leave the club at the end of the season. The Bosnia and Herzegovina international has been rumoured to be on the verge of leaving the club, as we wrote recently, but now it seems like Sky in Italy has even more information about the potential departure. Roma are reportedly ready to let the Bosnian go, as his current contract ends in June 2020. 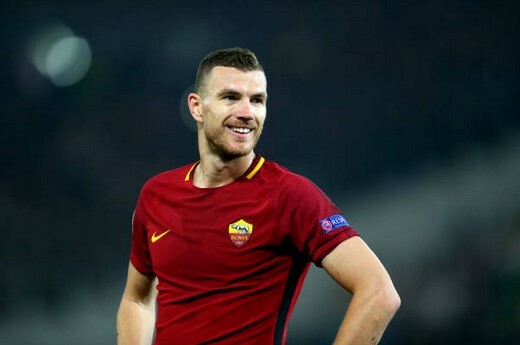 This will be their last chance to make a profit on his transfer and having in mind Dzeko is already 33 and his performances are slowly slowing down, it makes sense for Roma to let him go and make space for a younger striker. After Inter Milan and Everton were rumoured to be interested, now it seems like West Ham are leading the race to land Dzeko this summer. Roma are demanding £20m for the prolific striker, but it looks like the Hammers are not ready to spend so much on him.